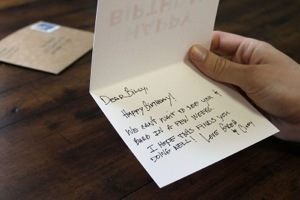 I used to love sending greeting cards. I would look forward to going to the stationery store once a month to buy the next batch. I was always so proud of myself that I never forgot someone’s special occasion. Then one day I went to visit a friend and spotted the card I sent him in the waste paper basket. It wasn’t even 24 hours after his birthday. I never said a word but the trips to the stationery store was never the same. I was spending 50 bucks or more a month to let loved ones know we cared and it didn’t have the impact I thought it would. 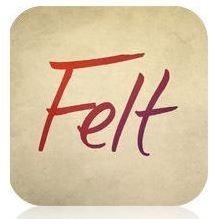 All I have to do is download an app called Felt. 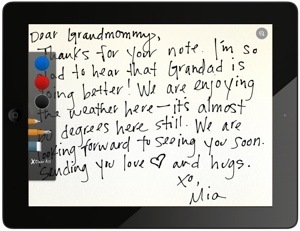 It lets me send a handwritten, sealed, stamped and mailed card from my iPad. I write the message and the address. Then I pay $3.99 a card, or $2.99 each for a pack of 10. The recipient gets a paper card like the good old days. There are other apps that do similar things, so if you know of any let us know. I may want do the monthly thing just one more time.